Your ability to borrow money and access credit based products is directly affected by your credit score. You can check your score online for FREE, and follow our steps of improvement if it’s a little lower that you would like. 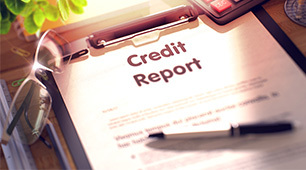 What details are in a credit report? 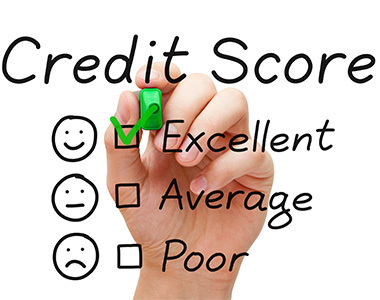 You credit score represents how risky it is for the lender to provide you with a loan or credit. Your credit score is calculated by analysing your credit report or credit file, which is a historical record of each credit application that you’ve ever made. This score will often differ between lenders, as they will each deem certain facts to be more important than others. Your credit score will determine whether you can get financial credit, how much money you can borrow, and how much interest you will have to pay. Recent activity – lenders see your recent history as a better indication of risk. Missed payments – a history of missed payments often leads to higher interest rates because you’re a riskier person to lend money to. County Court Judgements (CCJ’s) filed against you. Electoral register status at your address. While this information isn’t on your credit report, you may well be asked for it by your lender before they accept you for a loan. Is my credit score good? There are different scales depending on the provider of the report. For Call credit, a good score would be at least 4 out of 5. For Experian, a good score would be at least 880 out of 999. For Equifax, a good score would be at least 420 out of 700. As the score is only part of the lending equation, a good score doesn’t always equal a good loan. How to improve my score as quickly as possible? Unfortunately your credit history is built up over many years, as you record successful on going payments to various companies. Unpaid bills are the biggest problem, and the length that these go unpaid for has a big impact on your rating. These sort of failings tend to stay on your credit file for at least 6 years. Luckily there are several things you can do to improve your score. Check for file accuracy: if any of your information is inaccurate, it could negatively impact your score, so make sure everything is correct. Registered on the electoral roll: if you’re not already on there, you could find it harder to get credit (register here). Living at the same address: moving residency frequently isn’t good for your score, it’s recommended to remain in one home for as long as possible. Clear existing debt: if possible, clearing any existing debt will improve your credit score. Pay current bills on time: in the meantime, pay all of your existing bills on time, every time. Check for fraud: sometimes people apply for credit using another persons identity, check your file for applications you don’t recognise. Check if you have a joint account: although you love them, your partner maybe holding you back with their poor credit score. Adding a notice of correction to your file: this is where you can explain in 200 words how a mark on your credit score was due to circumstances that have now passed, such as being made unemployed. These cards are designed for those who have a poor credit history. The downside is they charge a much higher interest rate, often as much as 30% APR, so paying off the balance each month is a must. You can challenge parts of your credit file if they’re clearly mistakes. The company has 28 days to take the information off, or come back with a response to your query. During the 28 days, that part of the file will be marked as “disputed”, which means lenders aren’t allowed to really use it when you apply for credit.